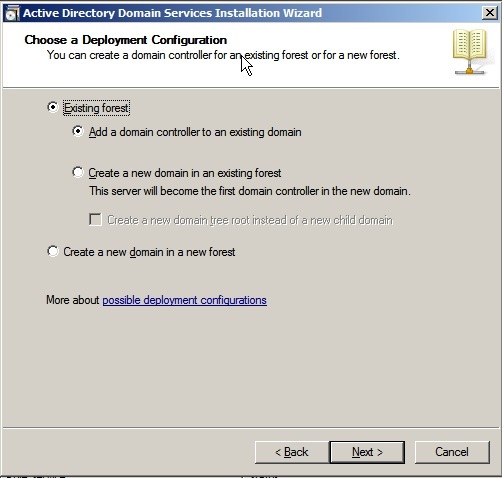 I repeated the steps from the previous post to deploy a second machine from the VM template. This time saving the customisations template. I called this RSMSGDC02. With the template, instead of entering Googles' DNS server (8.8.8.8), I entered 10.0.0.11(RSMSGDC01) and 10.0.0.12 (itself) in the network config, and I also added the domain when entering the machine name. Aside from that the customisations were the same as my previous post. 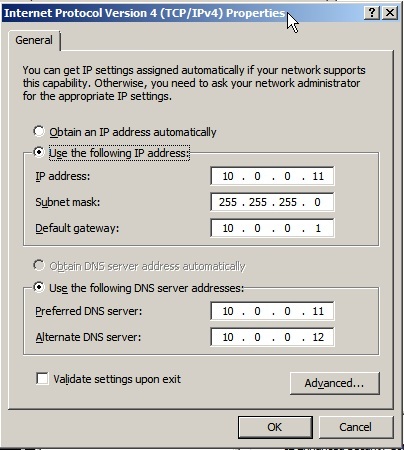 I also changed the DNS settings on the NIC on RSMSGDC01 to 10.0.0.11 and 10.0.0.12 too. 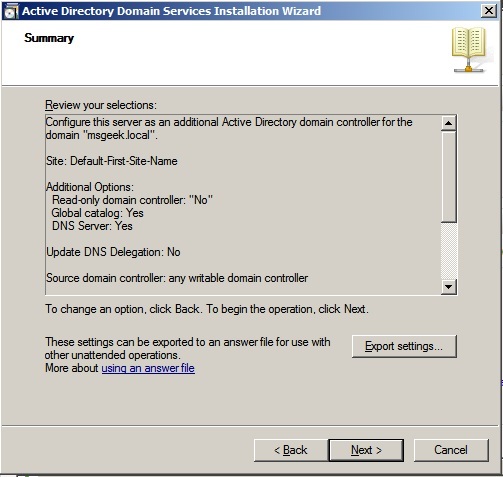 Once DC02 was back online I repeated the process of installing active Directory Domain Services from Server Manager. 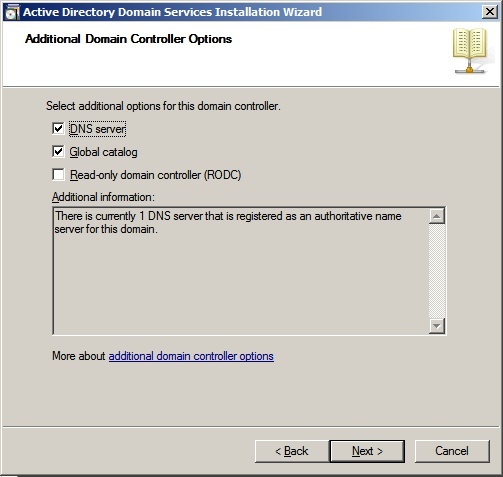 Once complete I ran dcpromo, selecting the option to Add a domain controller to an existing domain. 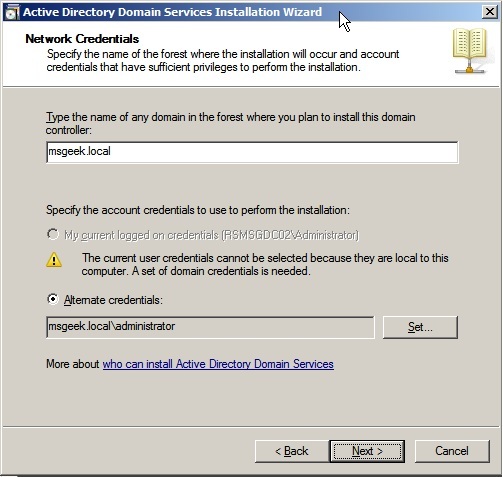 I then entered msgeek.local as the domain, and entered the domain admin credentials that were created when I dcpromo'd DC01. From there, it's a case of clicking next a couple of times until you arrive at the additional options screen. I want DC02 to run DNS and also be a GC, but I don't want it to be read-only. The wizard then gives you the option of doing the initial replication either over the network, or from media. I'll run it over the network, and I again chose the default locations on the C:\ drive for the database, logfiles and SYSVOL. From there you get the summary of the config. After that the installation starts, and a final reboot completes the process.